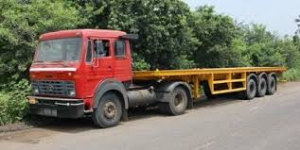 We do different types of customer requirements like handling bulk cargo in forms of iron ore, fertilizers, coal, grains and we do container transports and we also handle break bulk cargo like bagged, pallets, drums and also we do over-dimensional cargo (ODC) from krishnapatnam, hyderabad, visakhapatnam, kakinada and chennai ports. Break bulk cargo like bags, pallets, drums, iron etc we transport from kishnapatnam, kakinada, visakhapatnam and chennai port. We are specialized in ODC cargo transportation. HanuManthRao Transporters Pvt Ltd shortly HMR is a well established, started by faith in early 2014 to create a company that would truly help grow their clients businesses by working with them more as a strategic partner. We have the most organised and systematic transport network behind the scenes. Your possessions will never leave our sight on our services like bulk cargo, container and break bulk transportation from various ports in andhra pradesh. With progressive experience in providing excellent customer service. We are dependable and reliable. We are always professional and we excel in providing effective and comprehensive support and service. Our CRM executives always with you to collect proper requirement. Based on your requirement our experts gives best possible way. Start executing the work by deploying infrastructure. Completing the work as per requirement and closing all the formalities. 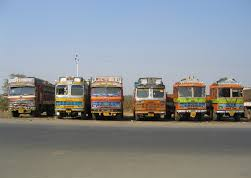 Good service by hmr transporters. They arranged the trailer to shift 20ft container from my warehouse to krishnapatnam port. Once again thanks to hmr and his team done a good job by shifting the bulk cargo about 500 mt from kpct port to our warehouse with in 48 hrs. 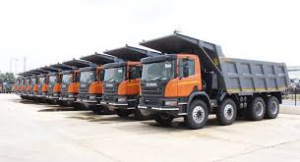 Thank you for providing trucks to transport raw materials to our factory with reasonable price and done in time.